Cohesive elements are special-purpose 3D elements used to model adhesive joint failure as well as delamination of composite plies. 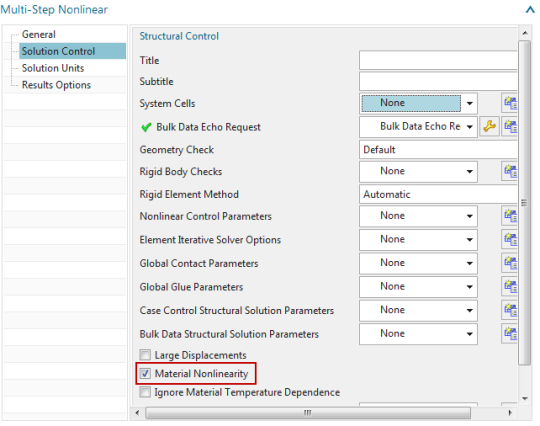 You can create cohesive elements between pairs of geometric surfaces and between specific plies, in both the Simcenter Multiphysics and Samcef environments of Simcenter 11 Pre/Post. In what follows, we focus on the Simcenter Multiphysics environment and describe how to create cohesive elements between plies in a global layup, in order to simulate delamination using a 3D laminate composite model. Model delamination between plies in a laminate composite. Simulate the presence of an adhesive between bonded surfaces. Cohesive elements offer several advantages over traditional glue-type connections, especially in situations where the integrity and strength of the connection are of interest. You can use the “3D Swept Mesh” command with type set to “Manual Between”, in order to create a layer of cohesive elements between specified source and target faces. If the source and target faces are coincident, the software generates zero thickness cohesive elements. You can use the “Element Extrude” command with the type set to “Element Faces”, in order to manually generate cohesive elements. 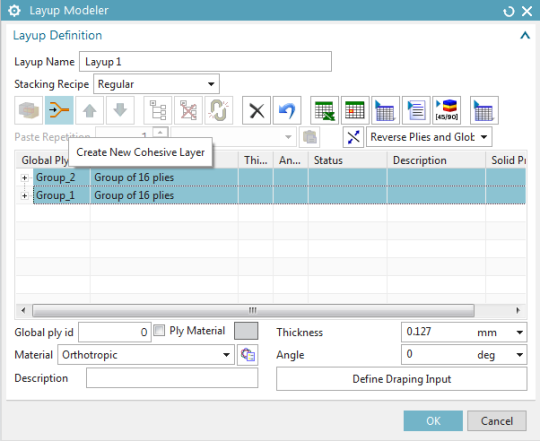 You can use the Simcenter Laminate Composites’ “Layup Modeler” dialog to create cohesive layers between specific plies. The cohesive element’s material type can be “Isotropic”, “Orthotropic” or ”Damage Interface”. 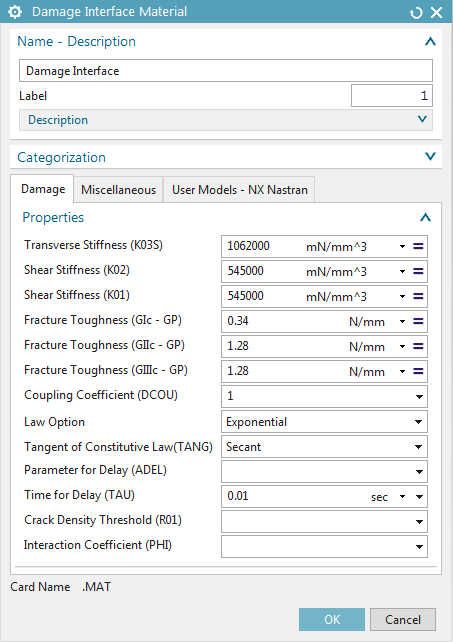 The “Damage Interface” material type evaluates the cohesive layer integrity during the nonlinear solution. You can use options in the “Damage Interface” material dialog box to specify, amongst others, the damage estimation model. 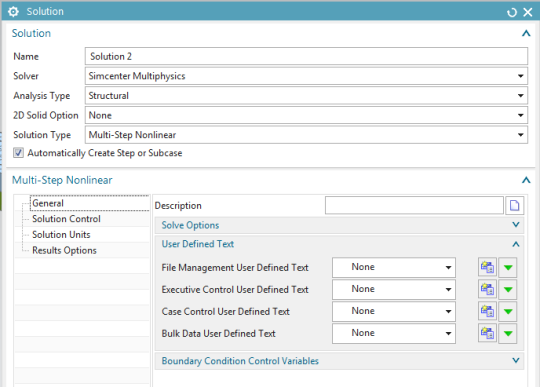 For more information, see Simcenter Multiphysics “Damage Interface” material and Samcef “Damage Interface” material. We begin with an inflated 3D laminate, as shown in Figure 1. Using “Manage Material”, create a “Damage Interface”-type material, as shown in Figure 2. 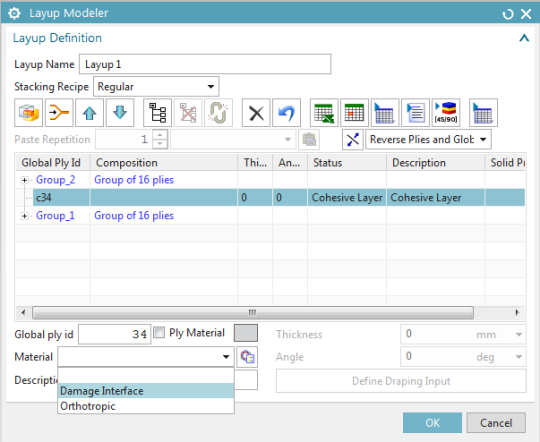 In the “Layup Modeler”, shift-select two ply groups and click the “Create New Cohesive Layer” button. 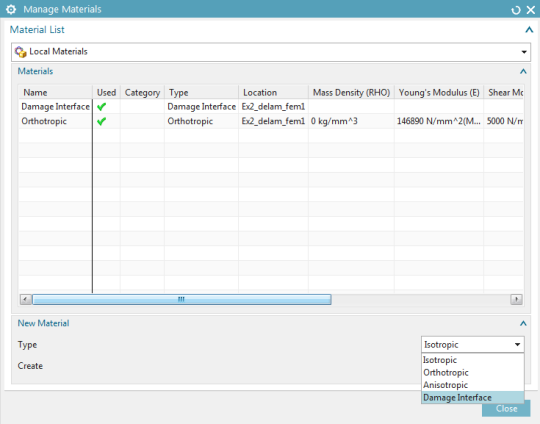 Then, assign the previously created “Damage Interface”-type material to the cohesive layer. This is illustrated in Figure 5. 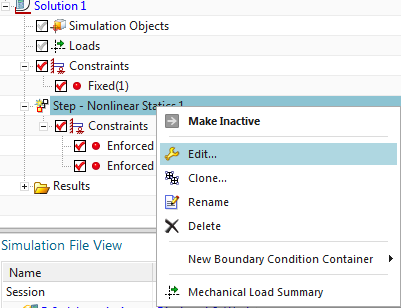 In the “Solution Control” tab, check the “Material Nonlinearity” box (See Figure 7). 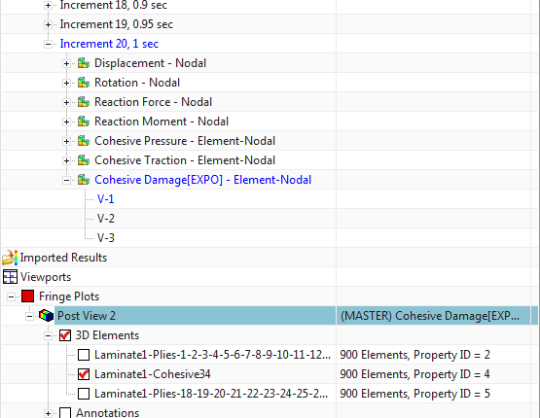 Set the “Damage” of the Cohesive Element Results to “DAMAGE”. Set the “Output Medium” of the Cohesive Element Results to “PLOT”. The -X face of the coupon is completely fixed, while Mode 1 delamination is solicited by defining equal and opposite 1 mm displacements to the top and bottom nodes of the +X face. This is shown in Figure 9 and Figure 10. 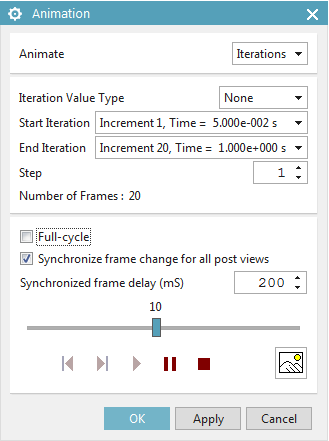 To define the time integration parameters, select the “Step – Nonlinear Static” node in the sim navigator, then right-click “Edit”, and in the “Time Step Definition” tab, set the “End Time” to 1 sec and the “Number of Increments” to 20. See Figure 11 and Figure 12.